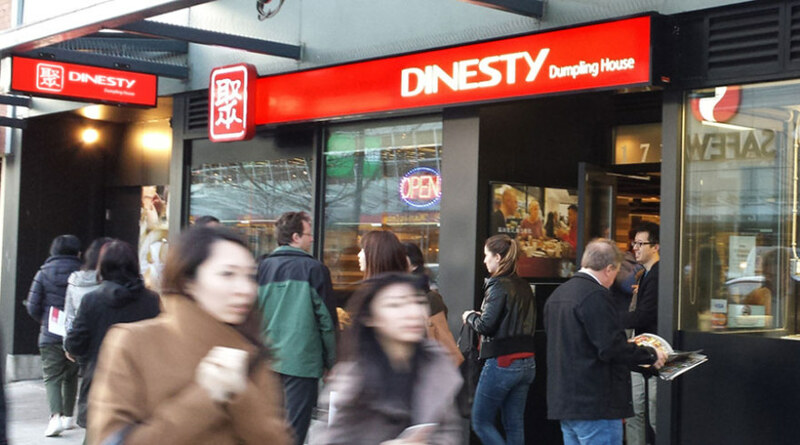 Dinesty Group is pleased to announce that the second Dinesty Dumpling House restaurant is opened today on 1719 Robson Street, downtown Vancouver. This brand new restaurant is the first new business extension of Dinesty Dumpling House since the opening of its first restaurant in Fall 2006 between the corner of No. 3rd and Ackroyd Road in Richmond. Like its Richmond predecessor, Dinesty Vancouver Robson features a full open kitchen and elegant interior design. Furthermore, the new restaurant also introduces an entertaining street window display of live dumpling making, creating yet another key attraction on the dynamic street scene. Dinesty Vancouver Robson also innovated a portion of our existing “Richmond” menu, catering to a wider range of tasters from different ethnicities and cultures.